Just an FYI for anyone who might be interested- Massdrop has the MSR Hubba series of tents right now for about 27% off. All 4 versions are available- the 1 person Hubba NX, the 2 person Hubba Hubba NX, the 3 person Mutha Hubba NX, and the 4 person Papa Hubba NX. I own both the Hubba and the Hubba Hubba and I love them. There are lighter tents out there but there aren't really many lighter tents out there that have all of the features of the Hubba tents- free standing, plenty of head room, 2 doors (on the 2, 3, and 4 person versions), vents for cutting down on condensation in cooler temps. Additionally, the Hubba tents hardly ever go on sale anywhere. For those not familiar with Massdrop, it's a website that facilitates bulk purchases of gear so that discounts on price can be shared with consumers. I've purchased from them before and never had any issues- it's worth noting that it does take longer to receive any items ordered (up to a month or more), as each item must be shipped twice- first the bulk shipment from the supplier to Massdrop, and then the individual shipments to the buyers. Overall Massdrop has a lot of hits and misses with regards to their deals- mostly misses, IMO, but every so often they have really good deals on gear like this that are worth jumping on. I'm in the market for a new solo tent and the Hubba NX is on my list. Thanks for the heads up. Backcountry.com and Steep and Cheap have the solo on sale now for $261 which is about the same as Massdrop would be. I wonder if MSR if refreshing the product line and trying to clear out old stock. It's between the Hubba NX, REI Quarter Dome and Big Agnes Copper Spur. I bought a MSR solo Hubba NX like the one pictured and returned it. I'm struggling to remember what I didn't like about it, but I bought a comparable Big Agnes model instead, which I like a lot. I'm torn now between the Hubba NX 1 and the Copper Spur HV UL 1. Seems like there's plenty of sales going on now so the price is close enough to not be a factor. The Hubba uses heavier material(more durable but weighs more), the Copper Spur is lighter and packs smaller but uses thinner floor material. I have the heavier version of the Copper Spur UL1. I can't recall what it was called but they don't make it anymore. I like the asymmetry of BA designs and maybe that's what I didn't like about the Hubba, but I think it was actually something to do with the zipper. You'll know if you try it. Either that or my pad didn't fit in it right because it had a weird footprint. As far as the floors on the BA, I have a couple of them and they are all super durable. My two person has a lot of miles on it and is still like brand new. I always use a footprint though. It's a few ounces and wads right up in the tent sack. Definitely worthwhile. What I don't like about the UL BA are the connectors. They are more brittle than the stuff on the SL tents, which is more flexible and durable IMO. I have the Half Dome 2 and the Copper Spur HV UL 2. I LOVE LOVE LOVE my Copper Spur. 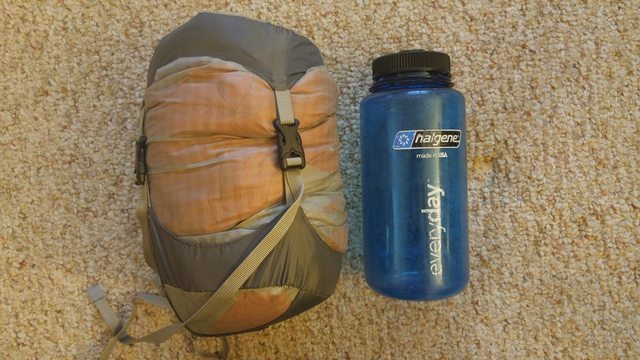 The Half Dome (older model, circa 2013) was my first real backpacking tent and it served me very well but it is a bit heavy and bulky. I do always use the footprint with it (it came free when I bought it, but it's usually sold separate). The only durability issue I've had with it is an overly excited dog jumping up on or scratching at the side numerous times. It didn't cause holes but you can see the fabric has been stressed in a few spots from the dog's nails. The way the pole structure is designed in the Copper Spur the walls are super vertical, both side and end walls, which allows a lot more "moving around" space inside when sitting up. I definitely notice the difference in interior volume vs my Half Dome. The way the Hubba Hubba pole structure is, I feel like it would seem much more cramped inside. If I were to buy a lightweight 2 person tent right now, I might be more inclined to get the Big Agnes Tiger Wall based only on the fact that it is about a half pound lighter. But I'm still very happy with my choice of the Copper Spur. Edit: I just realized you were talking about the 1 person tents, not 2 person. I also have an older Quarter Dome 1 (I have gear buying problems lol). It's a fine tent but I think I've only used it twice. I like my Copper Spur 2 so much better! I've not had any issues with durability of the fabric used on the Hubba itself. It's noticeably thinner/lighter than on cheaper tents, but seems to be perfectly durable for use in campsites. The one issue I have had with it is that the carrying case is made out of the exact same material- and I've had a few issues with sharp branches poking the case and causing small tears when it was strapped to my pack while hiking. I've had similar issues with other tents in the past, and before I've always replaced the stuff sack with something a little bit more durable- for whatever reason, I just never got around to doing so this time.